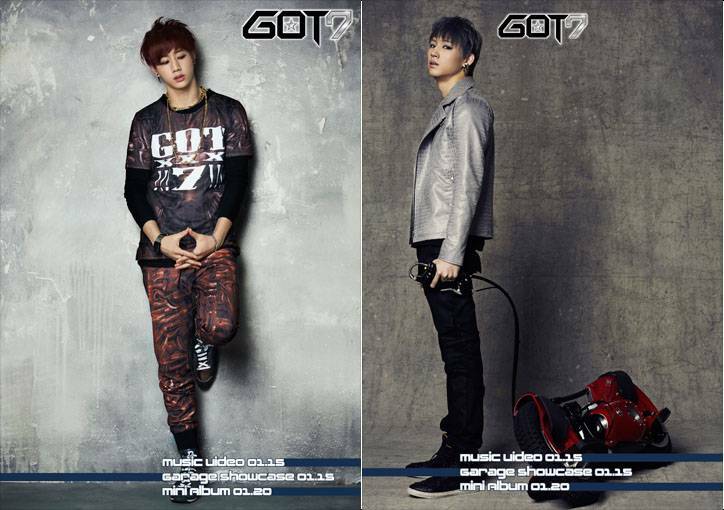 JYP Entertainment revealed teaser images for two members of upcoming 7-member boy group GOT7 the other day. 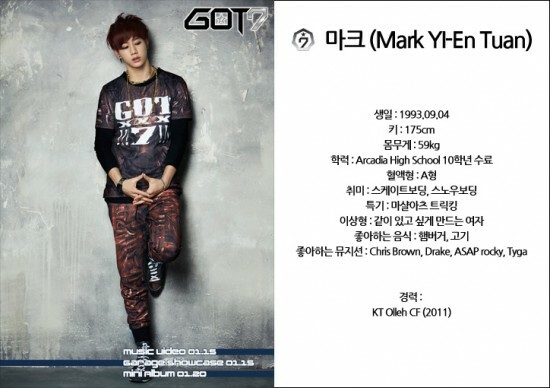 �They also released profiles of JB and Mark, as well as their personal statements to greet everybody! �Check out their information and what they say below. He Says:�Hello. �It's JB. �My real name is Lim Jae Bum. �I am the leader and vocalist in the group, and as a bonus, I represent the chic image. ^^ I came in 1st place at the JYP Open Audition in 2009!! 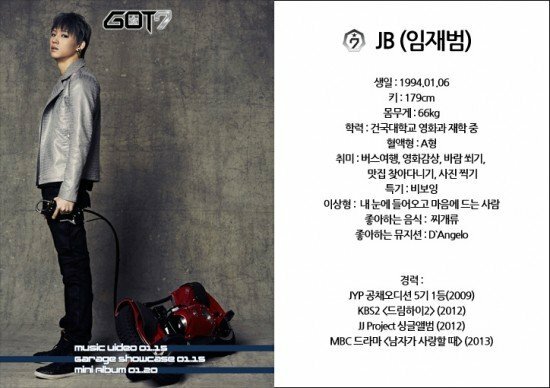 �I came in that way, went into the public eye before the others did through 'Dream High 2,' and released an album under JJ Project for a total of four years of preparation. �I hope we become a team that wins until the very end by taking care of one another, helping one another, and leading each other well despite areas that may be lacking. �I also hope we get along well like a family all the time! �We hope you watch GOT7 closely! He Says:�Hello. �I am Mark. �I came from Los Angeles in America and am diligently studying Korean. �I may be a 'baby face,' but I am the oldest in the group and in charge of flying around and being the foreigner. �Like Kanye West, whom I really like, I want to become a singer, with cool music and stylish fashion, that many people want to emulate, as well as an artist that will lead a generation. �From hereon, look forward to us on stage! Are you excited for this group? �Stay tuned for information on the other members, as well.